Hemiplegic cerebral palsy is a subtype of spastic cerebral palsy. 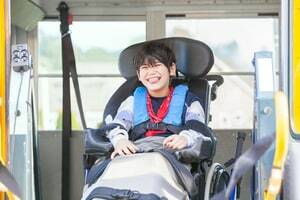 Cerebral Palsy is a general term that refers to the abnormalities of motor control or movement of the body caused by an injury to a child's brain. In simplest terms, cerebral palsy is an abnormality of body tone. CP is usually caused by a brain injury or brain malformation. There are several forms of cerebral palsy. The most common is spastic cerebral palsy. With this type of CP, the body tone is too high. Spastic cerebral palsy comes in three types: (1) spastic quadriparetic cerebral palsy which means that the arms and the legs are too high tone, (2) spastic diplegic cerebral palsy which means that the legs are too high tone but the arms are more normal, and (3) spastic hemiplegic cerebral palsy which means that one side of the body is involved. More generally, there are 3 primary types of cerebral palsy: spastic, dyskinetic, and ataxic. Spastic CP is the predominant type accounting for 75% of all cerebral palsy cases. Spastic CP tends to affect specific areas or zones of the child's body (upper, lower, left/right) so cases of spastic CP are usually further categorized into subtypes based on what zone is impacted. Hemiplegic cerebral palsy is specific subtype of spastic CP in which one particular side of the body (left or right) is affected. Like all cerebral palsy, hemiplegic cerebral palsy is caused by brain damage gestation, childbirth or early neonatal care. The damage to the brain is usually the result of oxygen deprivation which causes cells in the brain to decay and die. As a result the brain's ability to control and coordinate the movement of certain muscles in the body is permanent impaired. The specific mechanism of the oxygen deprivation varies from case to case but common causes can include: maternal or placental infection, asphyxia during birth, congenital heart disease, infant stroke, and/or mother and infant blood incompatibility. Additionally, seizures are a common indicator that your child may be suffering from hemiplegic cerebral palsy. More than half of infants who develop hemiplegic cerebral palsy have seizures in the early neonatal period. There are wide ranges of physical, cognitive, and behavioral risks and complications that can arise from hemiplegic cerebral palsy. Although each child is different and may not experience theses complications, below are some common effects correlated with hemiplegic cerebral palsy. Problems with focusing and maintaining attention for long periods of time. Difficulty setting goals, planning, and organizing behavior to accomplish certain tasks. Hemiplegic cerebral palsy is not a progressive condition. The initial injury will not get worse with age. As a child ages and experiences growth spurts, they may be more exposed to the effects of muscle spasticity. However, this does not indicate that the condition has gotten worse. Furthermore, children will present some atrophy of the hand, arm, shoulder, leg, and foot. As the child gets older this may appear more noticeable. The child's arms or legs on the affected side often appear shorter than the other side. This difference could be due to increased muscle tone pulling the limb upward or a true difference in the length of the bone. In such cases, weight bearing and strengthening exercise and therapy can help prevent atrophy. There is no "cure" for hemiplegic cerebral palsy. However, therapies and medication can help alleviate some of the symptoms. For example, a physician may prescribe different medications to prevent or symptoms. Additionally, orthotics, splints, and braces may help with spasticity and walking. Hemiplegic cerebral palsy (and all types of CP) is frequently the result of medical malpractice or negligent care during pregnancy or childbirth. Health care providers may fail to recognize and treat pregnancy complications, which can cause birth injuries such as hemiplegic cerebral palsy. They can also perform procedures that may put the baby at risk such as using forceps and vacuum extractors. The most common type of medical error linked to cerebral palsy is failure to timely respond to signs of fetal distress during labor and delivery. Mistakes and medical negligence in neonatal care can also result in brain injury and cerebral palsy. Doctors and hospitals may fail to recognize certain neonatal infections that can result in hemiplegic cerebral palsy. If your child shows any symptoms of hemiplegic cerebral palsy or brain injury, it is imperative seek out both medical and legal help. Below are example verdicts and settlements from birth injury malpractice cases that resulted in hemiplegic cerebral palsy. Why so few cases? Often verdict summaries do not include the specific subtype of a subtype of cerebral palsy. We also have spastic cerebral palsy settlements and verdicts. WCM v Virginia Center for Women (Virginia 2014) $5.5 million: mother was past-due so she was admitted to Chesapeake Regional Medical Center and induced for delivery. She was not hooked up to electronic fetal monitoring equipment until after labor failed to progress and she began experiencing abdominal pain and vaginal bleeding. Nurses paged on-call doctor but she took a long time to respond resulting in a long delay before an emergency C-section was eventually performed. During the delay the baby suffered oxygen loss and was eventually diagnosed with "mild" hemiplegic cerebral palsy and developmental delays. Mother sued both the hospital and the doctor. The hospital quickly settled out of the case for $450,000. The case against the doctor went to trial in Norfolk and the jury awarded $5.5 million (but that award was reduced to $1.2 million based on Virginia's statutory damage cap). D.G v. Maryland Provo-I Medical Services PC (Maryland 2013) $9.5 million: Two week old female developed left hemiplegic cerebral palsy as a result of a delay in the diagnosis of Group B streptococcus, sepsis and meningitis. The resident nurse reportedly failed to report the infant's abnormal blood culture results to the emergency room physician on duty. The plaintiff claimed the defendants violated the standard of care. The jury found that defendant's negligence was the cause of injury to the plaintiff and awarded the plaintiff $9.5 million. L.B v. Injured Patient and Families Comp. Fund (2010 Wisconsin) $23 million: plaintiff, 36 weeks pregnant was admitted to the hospital. She was given an epidural and administered magnesium sulfate to assure her blood pressure was kept down and Pitocin to induce labor. The newborn was born with the use of forceps and the neonatal intensive care unit observed the infant to be limp, apneic, and centrally cyanotic. The infant was diagnosed with different brain injuries and hemiplegic cerebral palsy. Plaintiff alleged that the medical team failed to confirm reassuring fetal heart rate before administering Pitocin and negligently used forceps. The jury awarded the plaintiffs $23 million. Jane Doe v. Roe Hospital (2009 California) $1 million: a female gave birth to an infant at 33 weeks gestation. During the infant's stay in the neonatal intensive care unit, two different strains of bacteria entered her bloodstream. As a result, the infant developed sepsis which led to left hemiplegic cerebral palsy. The mother sued the hospital, alleging negligence in monitoring and nursing care. The defendant disputed the claims, alleging that the bacteremia was due to a breakdown in the infant's gut and not the negligence of the healthcare providers. The parties settled for $1 million dollars. If you have a child diagnosed with hemiplegic cerebral palsy there is a strong likelihood that it might be the result of medical negligence. The birth injury lawyers at Miller & Zois can help investigate your case and determine whether you have a claim for malpractice. Call us at 800-553-8082 or contact us online.